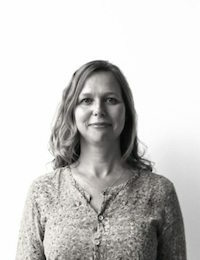 Hester works in a communication & dissemination capacity for the Future Earth Coast International Project Office based at MaREI. She is also involved in MaREI’s Communication and Dissemination team and on a variety of project as part of the Governance Group. Future Earth Coasts International project office – Communication & Dissemination in an international coastal science context. Hester originally comes from the Netherlands where she studied educational media as part of a Cultural & Societal based degree. She has since been working in various Coastal and Marine institutes and consultancy companies in the Netherland and the United Kingdom mainly with a focus on Integrated Coastal Zone Management and Climate Change Adaptation. She has extensive experience in working on EU and International funded projects as science communicator. Since joining UCC in 2015 she has been working on the MARIBE – Marine Investment for the Blue Economy project looking at Multi-use of space and multi-use platforms which has since been completed. Her main tasks now are coordinating the communication & dissemination activities of the Future Earth Coasts project. She is also involved with the governance group and other general communication and dissemination activities for the MaREI centre.